There has been many debates as to which method of gardening would come out on top in a battle of hydroponics vs aquaponics. In this article, we’ll be looking at the main differences between the two and if aquaponics really is the best of both worlds of hydroponics and aquaculture. Hydroponics uses only water and chemical nutrients to cultivate plants, without the necessity of soil. It’s not only the main production method of much of the greenhouse tomato, basil and lettuce grown in North America, but it’s also popular among marijuana growers. It’s stable and produces high yields. There is no damage from pesticides. The controlled system means that no nutrition pollution is released into the environment. Lower nutrient requirements due to control over nutrient levels. Lower water requirement as water stays in the system and can be reused. 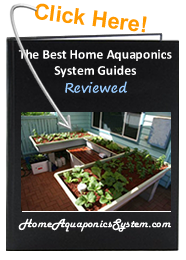 Hydroponics and aquaponics share a few similarities. They both use nutrient-rich water that’s highly oxygenated to bathe the plants’ roots continuously, and in both systems, plants see better growth rates in comparison with those that are grown in soil. 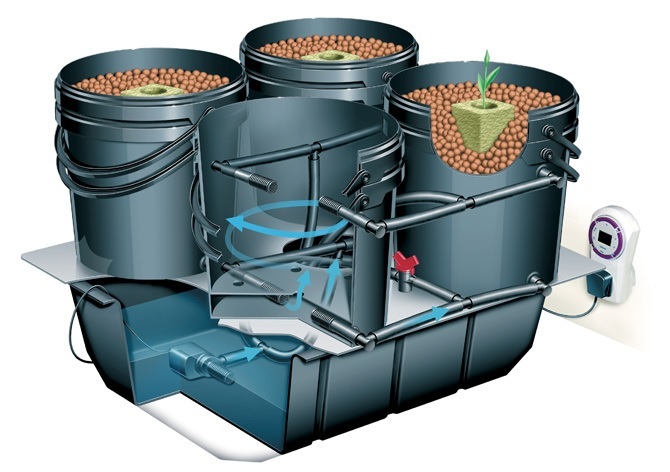 Although aquaponics borrows many techniques from hydroponics such as their NFT (nutrient film technique) and DWC (deep-water culture), there are many significant differences where aquaponics improves upon. Cost Of Chemical Nutrients – In a hydroponics system, chemical nutrients used to feed plants are expensive and costs are gradually rising due to over-mining and scarcity. In an aquaponics system, fish feed is used instead which is not only cheaper, but will provide you with bigger as well as support for plants. Retain Nutrient Solution – Certain periods, water in hydroponic systems needs to be unloaded because of the build-up of salts and chemicals to the point where levels become toxic to plants. Where the waste water is disposed of needs to be carefully considered, but in an aquaponic system, there’s a natural balance of nitrogen and water is never replaced, only topped up due to evaporation. Productivity – It has been shown in several studies and research that once the aquaponic biofilter is fully established (after a period of 6 months), an aquaponic gardener will generally see quicker and more efficient results in terms of plant growth compared to hydroponics. 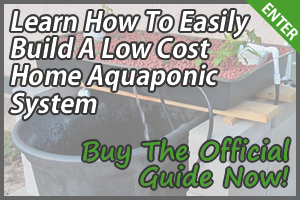 Ease Of Maintenance – An aquaponic system is much easier to maintain since there’s no need to check the electrical conductivity once everyday as you would have to in a hydroponic system. The natural ecosystem in aquaponics means that elements have a tendency to balance each other out, and you would only need to check pH and ammonia levels once a week, and nitrate levels once a month. Organic Growth – Hydroponics is made up of a sterile man-made environment while aquaponics is a replication of a natural ecosystem, thus making it completely organic. 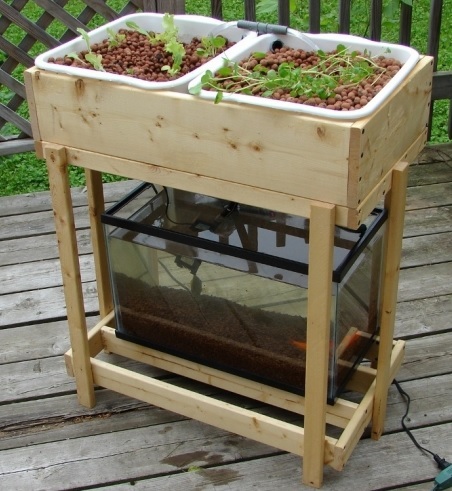 Hydroponic systems use costly nutrients made up of a mixture of chemicals and salts to feed plants, but in an aquaponic system, plant food is made from the conversion of solid fish waste by bacteria and composting worms. 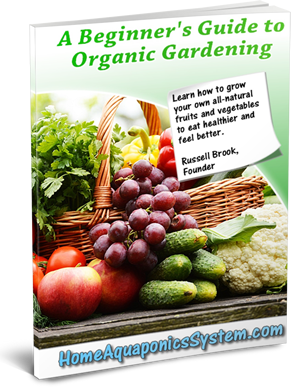 This natural process results in better plant growth and lower disease rates. The modern concept of hydroponics has existed longer than aquaponics, but the practice of aquaponics can actually be traced back to ancient times. 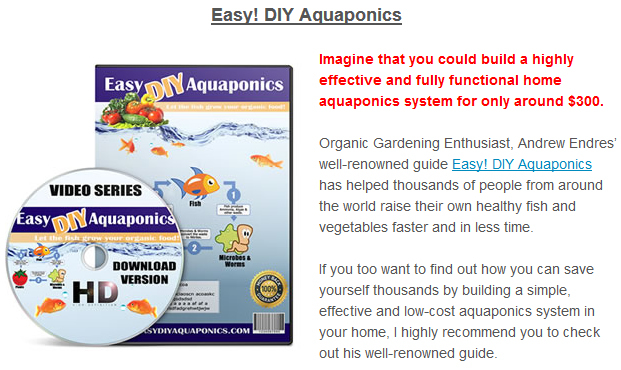 More and more people are beginning to realize the benefits and advantages that aquaponics has over other gardening systems. There has been an increasing amount of institutes and gardeners around the world on every level of society that are adopting the aquaponics method, and it’s only a matter of time before this sustainable food system is standardized.